Ms. Bernadette Michelle Petrotta is an author and small business owner, married, and has a son. After receiving her degree, she spent 32 years in public service with the City of Los Angeles in an administrative capacity. In her spare time, she researched the world of etiquette and eventually amassed a library of materials, including a collection of rare silver flatware and antique porcelain serving pieces. In 1996 she founded the Polite Society School of Etiquette with a mission to educate people of all ages in customary codes of conduct, dining principles, and basic social skills. Polite Society School of Etiquette offers a variety of courses on etiquette and tutelage at speaking engagements, school seminars, private dinners, and specialty tea events. Online interactive training is also available. As a testament to Ms. Petrotta's dedication to etiquette, she has been featured in Tea Time Magazine and Texas Tea & Travel Magazine. 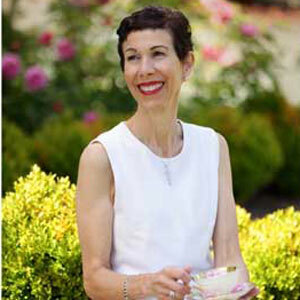 Ms. Petrotta has provided first-class etiquette training along with educational classes on tea and its rich history to the personnel at the Fairmont Olympic Hotel in downtown Seattle. She has also been a highlighted speaker at the Annual Northwest Tea Festival, Annual Victoria Tea Festival, Annual Northwest Women's Show, and Designs for Dining Fund Raiser. She is listed on the business register of the International Tea Sipper's Society which reaches tea lovers worldwide. Ms. Petrotta's entrepreneurial spirit, continuing education, and high quality teaching principles qualify her to be a leading source in this rapidly expanding industry. Ms. Petrotta has published three volumes in her Etiquette Series. Available in eBook, Softcover, & Hardcover formats at www.PoliteSocietySchool.com.